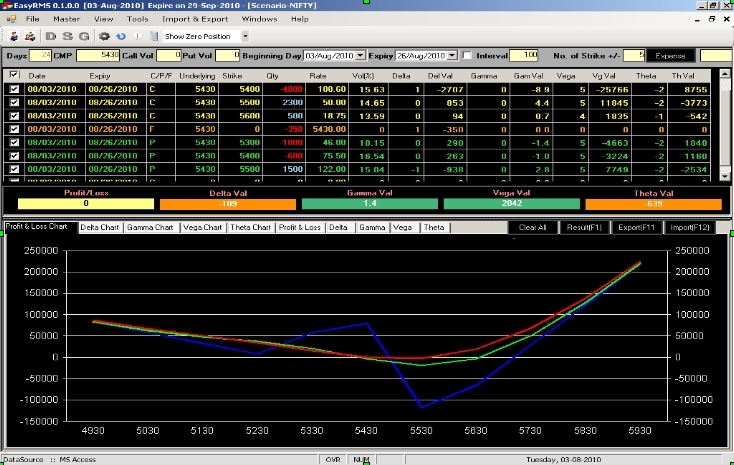 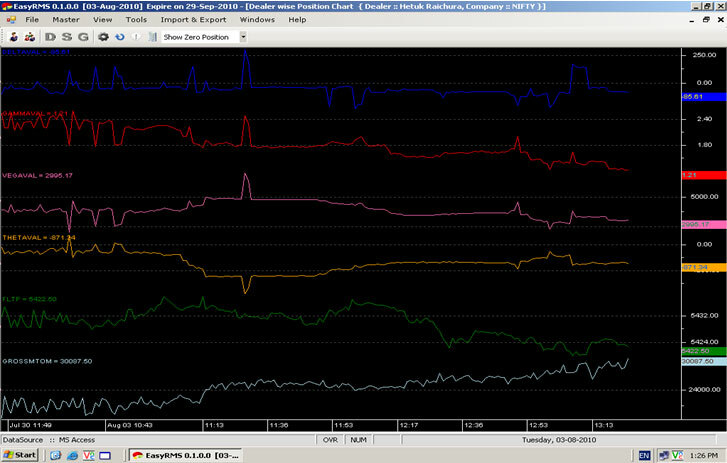 EasyRMS provides live Dealer wise – Script wise graphs for Position, Greeks, Movement, Margin etc. 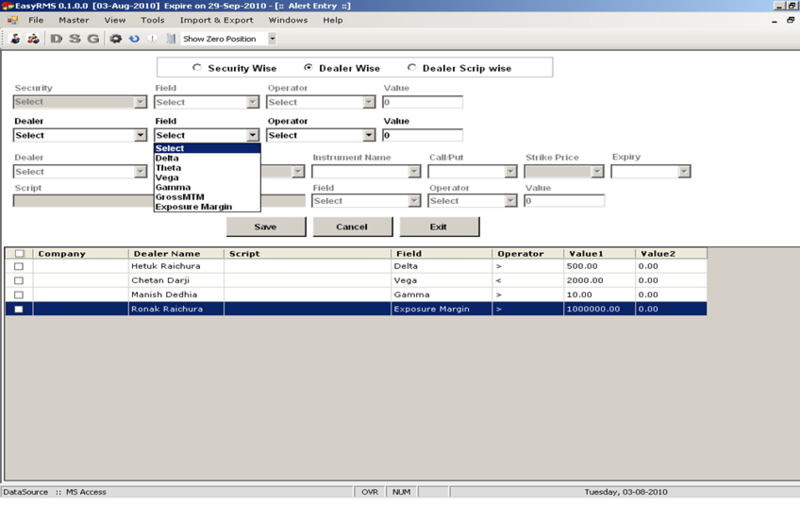 Their Data can be export to excel also. 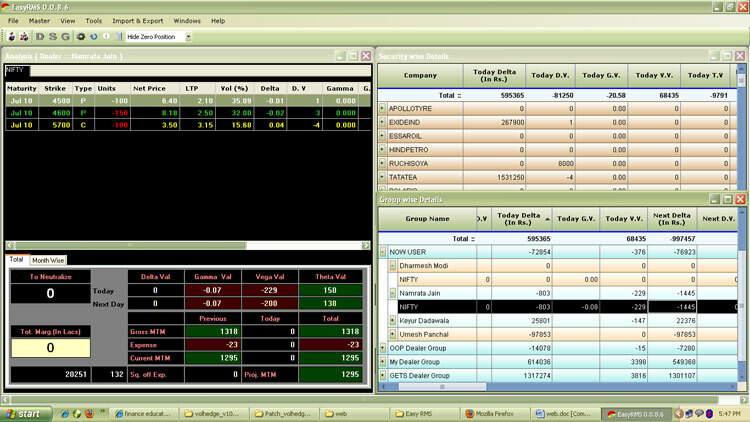 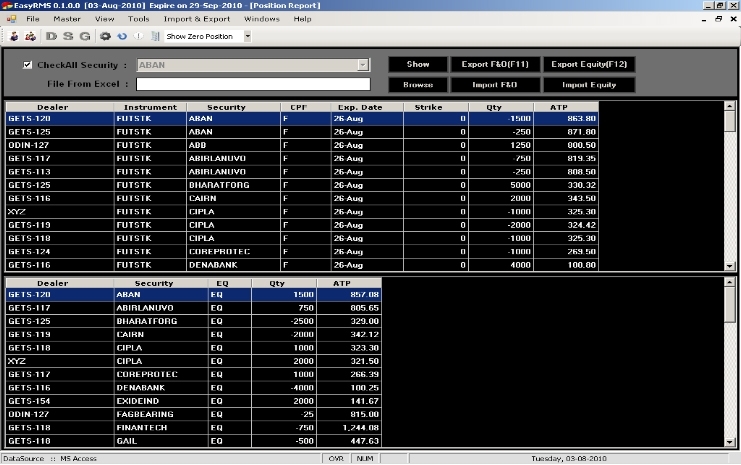 User can put security wise, dealer wise and dealer script wise alerts for Positions, Greeks, MTM, Margin etc.